Lorraine Massey wrote the book Curly Girl about her curl struggles. Click here for a free download and learn how the lack of good styling information and curl products available helped inspire the natural curl movement. That is how the DevaCurl Method and the products were created for girls with curly hair. DevaCurl is a curly hair product line, hair cutting technique and philosophy all in one. The DevaCurl Concept teaches how to care for and wear your curly hair naturally. We are a Curl certified salon and can help you love your curly hair. Curl requires certain care because it dries out easily. DevaCurl products are 100% sulfate, paraben and silicone-free and designed to enhance the look and health of curly hair. DevaCurl hair products and hair-cutting are for both naturally curly and chemically-enhanced (permed) hair. Curl permed hair responds the same way naturally curly hair does to the DevaCurl products. The DevaCurl haircut is done when the hair is dry. DevaCurl Academy professionals are trained how to cut curly hair dry, its most natural state. DevaCurl clients should come to the appointment with their hair in its natural curly form, so don’t straighten your hair before a Deva appointment! There are several different DevaCurl cuts depending on your desired style. One is an oxygenation cut, or a curl refresher cut. It’s defined by cutting the tips off the ‘scraggly ends’ of the hair to rejuvenate it. In this cut, the hair is not cut for shape and we recommend this as a maintenance cut to those already familiar with wearing natural curl. The Waterfall (teardrop-shaped) can be obtained with a full Deva Cut. This cut is a process of shaping the curly hair, layering it and giving it elevation. Don’t let the word “layer” scare you. DevaCurl hairstylists cut and layer hair based on a “map” of cutting techniques that are unique to certified DevaCurl hairstyle professionals. Using this map opens up endless possibilities for curly girl haircuts. The map consists of the way the hair is sectioned, the order in which a section is cut and how high or low a client wants to keep the elevation of their hair.The map takes into account the length of the hair, how long or short a client wants the layers, how thin or thick their curls are and curl spring factor. Everything is taken into account when evaluating and deciding which type of DevaCurl cut to use. Even the type of curl is determined. The four types of curl patterns are swavy, wavy, Botticelli and corkscrew. 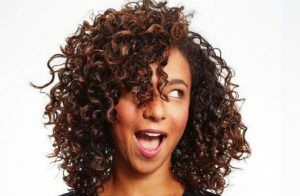 The signature DevaCurl haircut beautifully shapes curls and works hand-in-hand with the products to give amazing results. We ask that you arrive for your DevaCurl haircut with your hair in it’s natural state. Leave your hair down, dry and curly.Please allow one hour for your DevaCurl haircut. DevaCurl haircuts start at $65. Book an appointment for a cut with one of our certified specialists. Go to your appointment with your hair in its natural state. Maintain your hair with the three-step DevaCurl routine. Use the DevaCurl (sulfate free, specifically-designed for curly hair) shampoo, conditioner and styling products recommended for your hair. 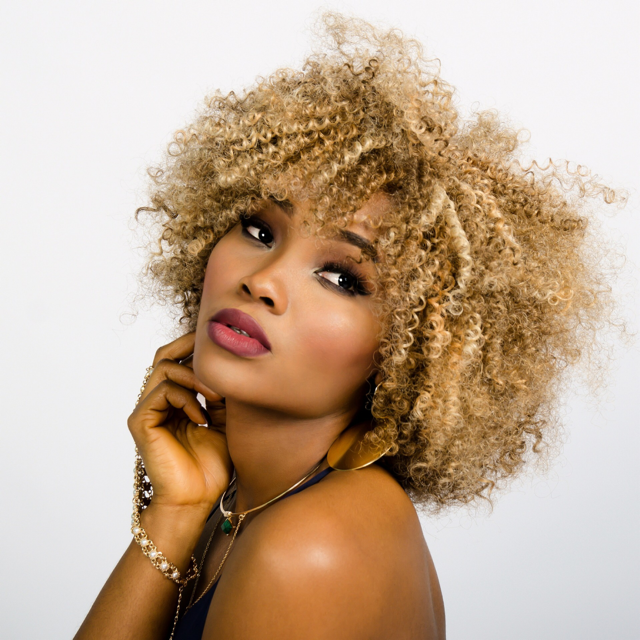 Say “yes” to the hair you were born with – stop fighting with your curls and embrace them! The best way to do this is with a DevaCurl haircut and DevaCurl products made just for you and your curly hair! Put away the shampoos, flat irons and blow dryers that are making your hair damaged and frizzy. Cleanse- No Poo, zero lather cream. Low Poo, some suds. Condition- Rake or “noodle” conditioner until hair hangs in tendrils. Set- Twist curl to form. Most shampoos on the market contain sulfates. Sulfates are degreasers. However, most curly-haired girls don’t have any oil on their scalp to de-grease because their dry, curly hair soaks it up. 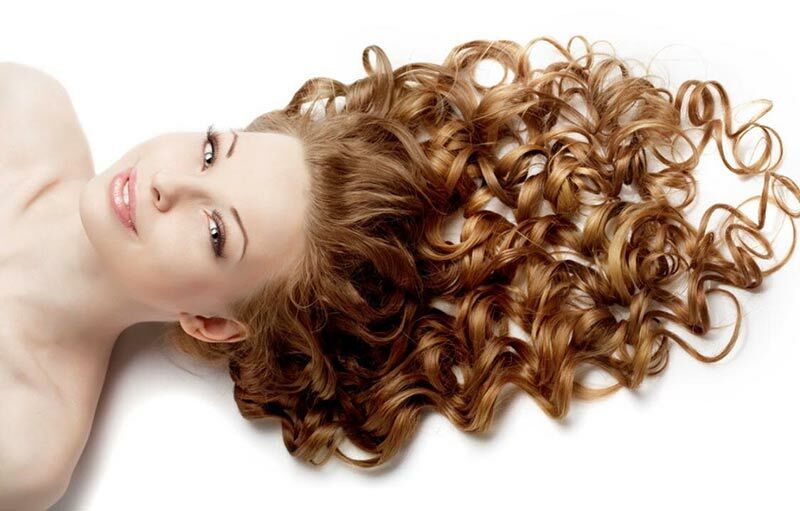 Using traditional sulfate shampoos dries out the hair even more. Just like a flower reaches up to catch the sun, curly hair (without moisture) will frizz as it reaches out to the environment to catch moisture from humidity. That is why curly-haired girls don’t like the rain! Since curly hair is naturally dry, we recommend Deva products because they give hair the hydration it needs. 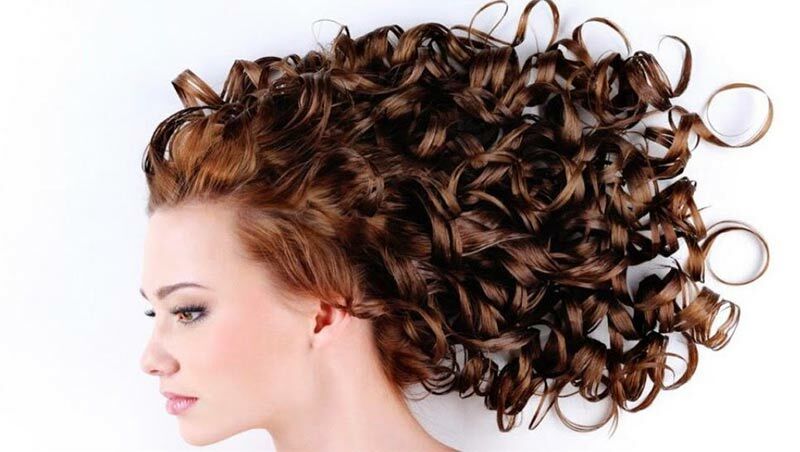 There are products for natural and color-treated hair and are used after the DevaCurl haircut. We carry full line of Deva products and offer a 10% discount when you buy the “ Step Routine. Mention the 3 Step discount when checking out. Growing out natural hair does take some effort. For those that like the glamour and ease of traditional hair styles, we also offer services like relaxers and locs. To us hair is hair, but it can vary in texture. This is where experience matters. Not all of us are trained in services like silk wraps and braids. For these services ask for Charlise. Here are some additional textured hair services offered.